Aizawl, Oct 19 : The Mizoram government is toying with a proposal to set up advisory bodies in each of the 15 village councils in northeast Mizoram along its borders with Manipur as the stalemate on holding elections to these councils continues. 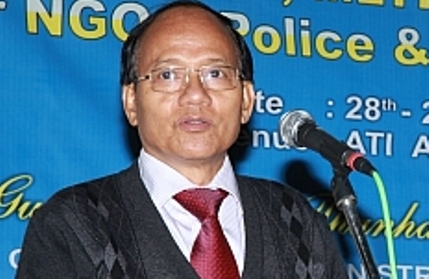 The state election commission has announced three dates for elections to the village councils — 13 in Aizawl district and two in Kolosib district — since February 23, the last one being scheduled for October 25. Home minister R. Lalzirliana had yesterday said the polling had to be kept in abeyance repeatedly as the militant Hmar People’s Convention (Democratic), which is opposed to the polls, was threatening voters. 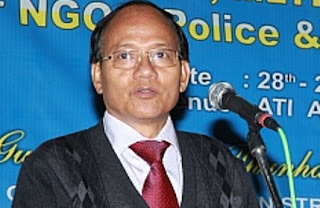 State election commissioner C. Ropianga said not a single nomination paper had been filed for the October 25 polling — the last date for submitting the papers was on Monday — because of the threat posed by the Hmar People’s Convention (Democratic) to political parties and voters of the 15 villages. The HPC (D) was set up in 2002 after cadres of the HPC surrendered in 1994. The HPC had accepted a development council in the Hmar-inhabited areas instead of the district council it had demanded. The HPC (D) is insisting on a district council and is opposing the polls in a bid to drive home its demand. Official sources today said the process of conducting elections to these village councils “had been stopped” and the matter would be referred to the cabinet of the Congress-ruled state government, led by chief minister Lalthanhawla for a decision on how to break the impasse. A senior official of the state home department said the final decision to end this stalemate was likely to be taken by Lalthanhawla soon.